Peter Breck returns to play Pete Warren, a man whose soon to be ex-wife, Myrna, is killing time in a Reno casino, waiting for their divorce to go through. But when Myrna gets involved in a counterfeit gambling chip scam, Pete makes the mistake of lying to protect her. Then, when someone cashes in Myrna�s chips permanently, the suspicion falls on Pete, who, the authorities claim, manufactured the phony chips at his novelty company. It�s left to Perry to figure out just who�s not playing with a full deck. This is Ruta Lee�s fifth and final appearance on Perry, playing Irene Prentice. This is the only time that the last name of her character did not start with the letter �C.� The first four appearances, her characters were named, Cooper, Crest, Culver, and Cosgrove. Submitted by PaulDrake 33, 30 October 2009. For the umpteenth time this season, Ray Collins does not appear as Lt. Tragg despite his billing. Submitted by gracenote, 5/2/2011. Sightings: After Drake finishes a phone call and walks back to his table at the casino, Distinguished Gentleman #1 walks behind him. Later, the Gentleman turns up in the courtroom gallery, along with Little Old Lady #1 and a blurry Pencil Mustache Man. Read more about these favorite frequent faces. Submitted by gracenote, 5/2/2011. The character Ned Beaumont was previously in Dashiell Hammett's 1931 novel "The Glass Key", and Beaumont's first scene (on page 1) is of him throwing dice in a gambling joint. 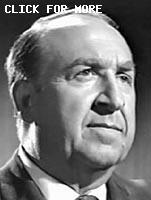 Writer Jonathan Latimer worked on the screenplay for the 1942 movie version of "The Glass Key". Even though the 1942 and 1935 movie versions changed Beaumont's name to "Ed", I wonder if Latimer was attempting a homage to Hammett, who died in 1961. A less-silly story would have been better (why, for example, is Tony Cerro still alive? ), though the double play of Ruta Lee and Myrna Fahey definitely chips in for enjoyment. Submitted by (lowercase, with a comma and period) masonite, 07/01/13. +Toss in the delectable Della and make it a trifecta. Submitted by DellaFan, 1-19-2014. When Perry calls Paul from the dead woman's apartment, he sure seems to go out of his way to reveal a lot of information for the benefit of Leonard.